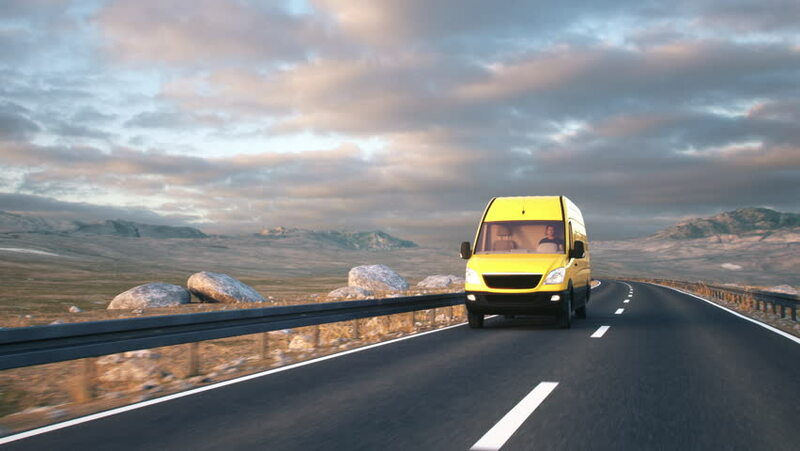 A yellow delivery van passes the camera driving along a desert highway into the sunset. Realistic high quality 3d animation. 4k00:10Camera follows a yellow delivery van driving along a desert highway into the sunset. Realistic high quality 3d animation. hd00:30Taipei, Taiwan-09 January, 2016: Timelapse of a car driving on a large highway in Taipei city, Taiwan. Point of view front. Driving on a motorway.